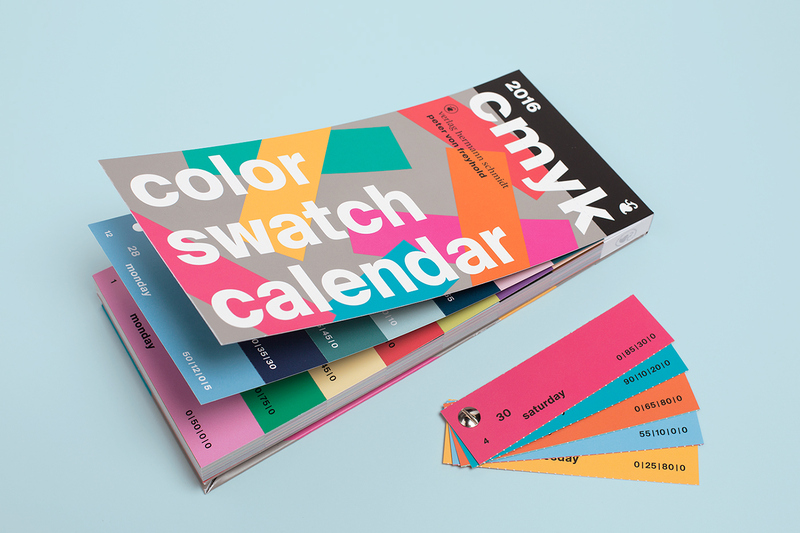 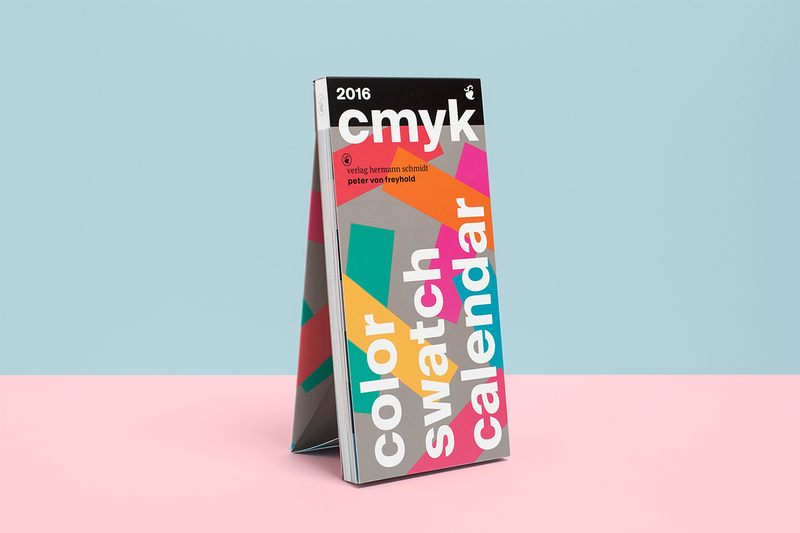 The third, international edition of the Color Swatch Calendar comes with 371 new and carefully selected CMYK colors plus a box to collect all those lovely colors. 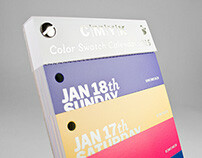 Each day a color stripe can be torn off and new color combinations come up. 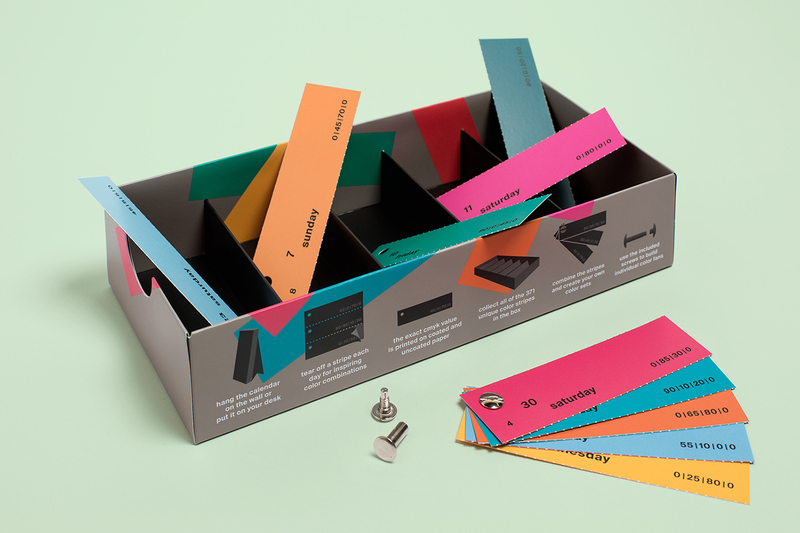 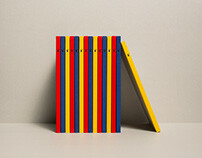 Printed on coated and uncoated paper, the stripes can be collected to create color matching fans with the use of bookbinding screws, which are included in the collecting box. 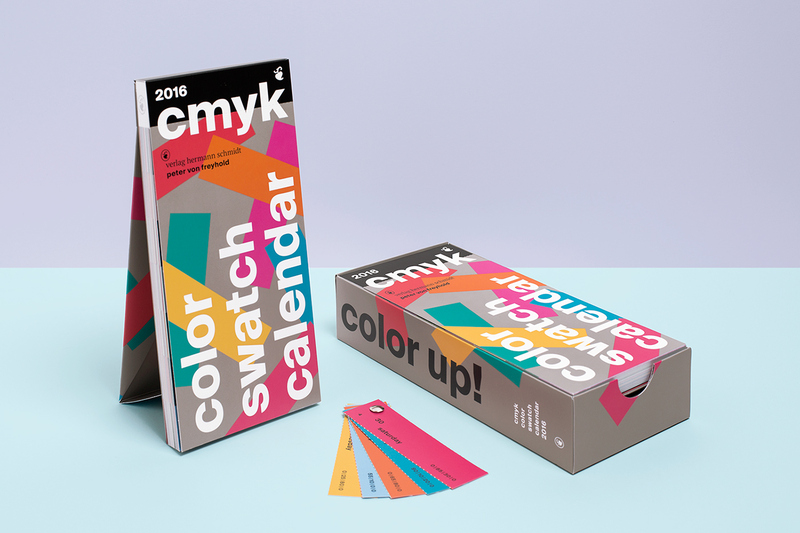 The exact CMYK data are printed on every stripe. 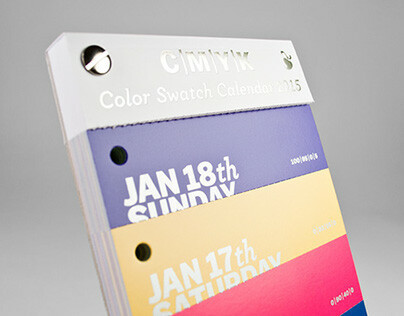 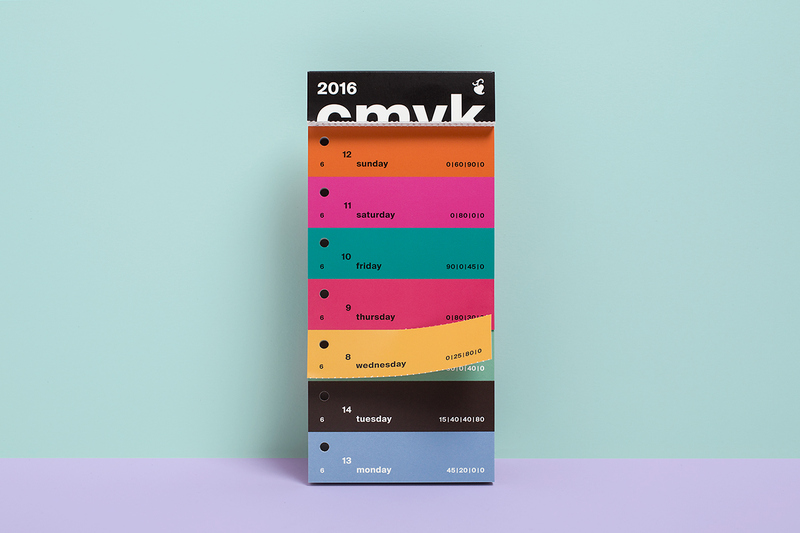 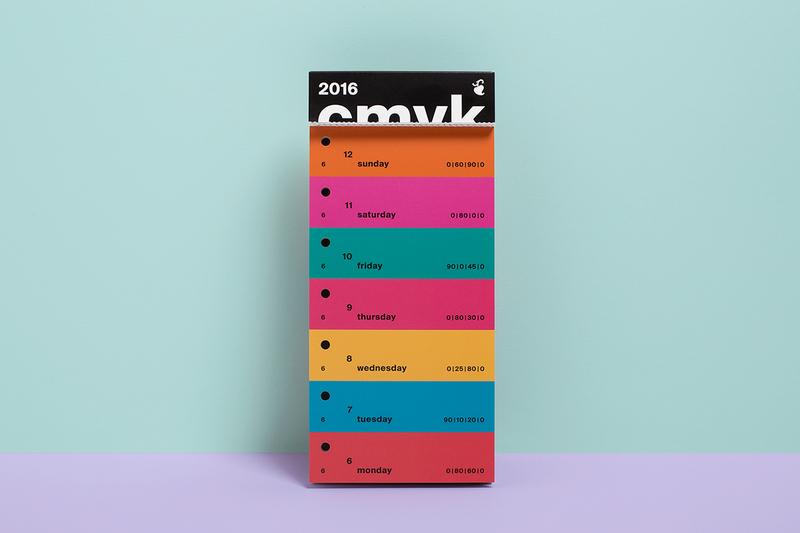 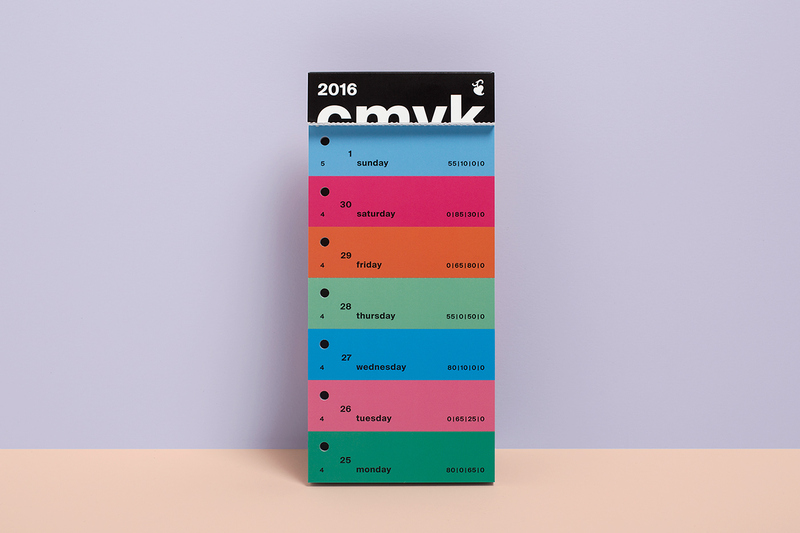 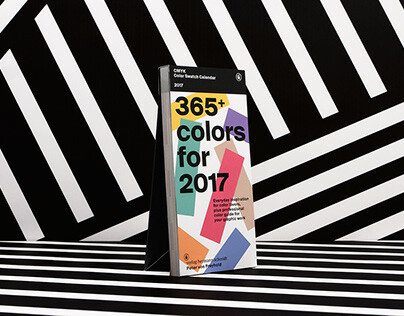 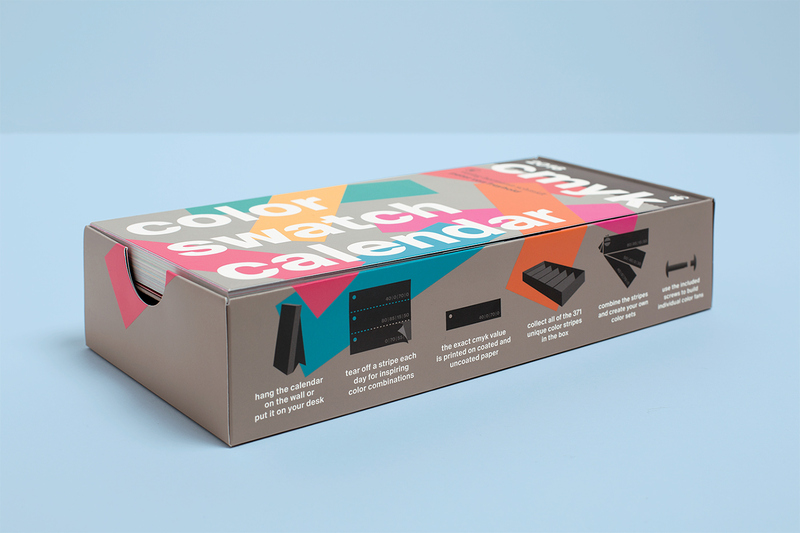 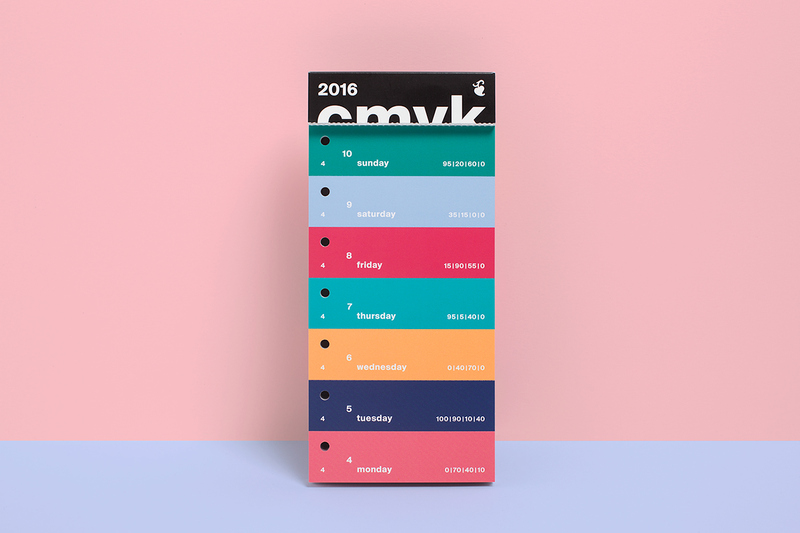 The calendar contains 371 unique color stripes, printed on 210 g/m² two sided chromo cardboard from Fedrigoni. 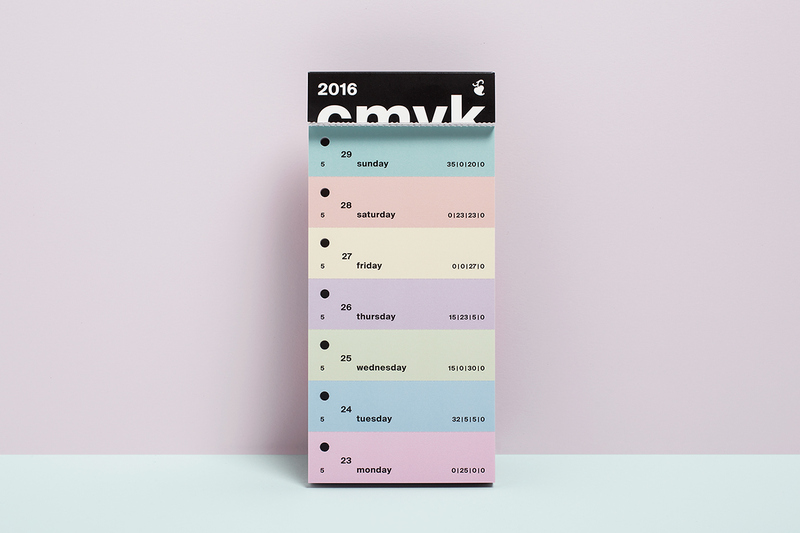 The date is printed in black and white, alternating by week. 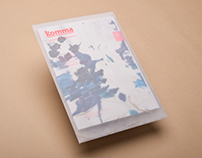 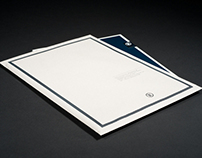 The cover is processed with a white hot foil stamping. 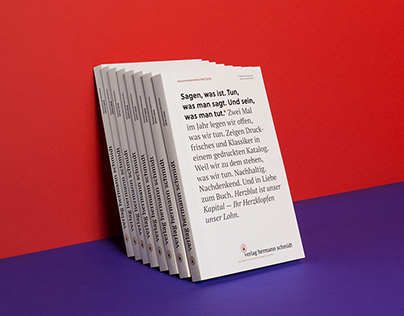 It is published by Verlag Hermann Schmidt. 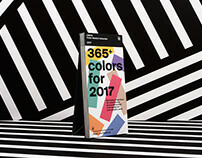 Get your copy of the international edition for a colorful year! 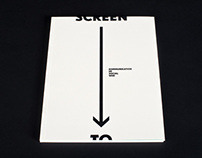 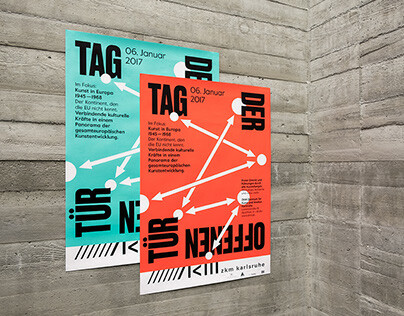 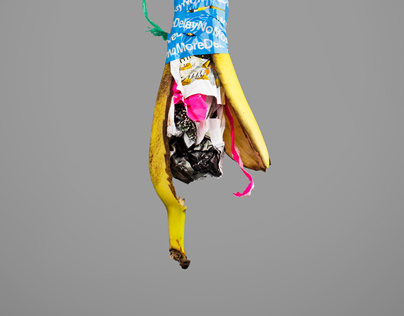 Check out more projects from the studio vonfreyhold visual communication. 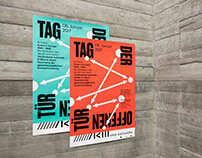 Thanks and best wishes from Germany!